On this second day of October 2018, Prescott Creeks takes a moment to recognize the 50 years of the National Wild & Scenic River System that the US Congress set in motion in 1968. While Granite Creek is far from Wild for most of its reach, it is a tributary to the Verde River to the north of Prescott. Designated in 1984, the Verde River has 22.2 miles classified as Wild and 18.3 miles classified as Scenic under the System. That’s 40.5 miles of Wild and Scenic River right here in our own watershed. 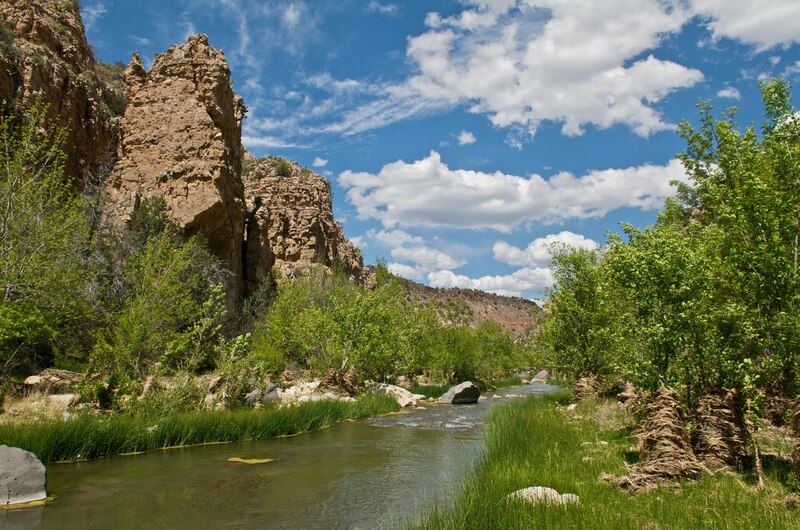 And closer to home, there is a proposal for another almost 34 mile Wild & Scenic designation on the Upper Verde River. Prescott Creeks has partnered with Friends of the Verde River and the Citizen’s Water Advocacy Group to celebrate the Act’s 50th birthday by hosting two showings of the Wild & Scenic Film Festival. Join us on October 25th in Prescott at the Elks theater, and/or, on October 27th at Cliff Castle Hotel for films that we hope will inspire you to include support for rivers and creeks and water into your daily routine. Click here for Tickets, Movie Trailers, and Info.